I am thrilled to announce an exciting new partnership with Union Pacific. Safe Kids Worldwide and Union Pacific share a commitment to making communities safer for children and families and for the next three years we will be working together to focus on rail safety. Between 2012 and 2016, there were an average of nearly 2,100 collisions at railway crossings each year, resulting in an average of 244 deaths and 930 casualties – and more than 20 percent of casualties and deaths were children. As many of you know, we have worked on this important issue in the past and it’s great that we can reenerginze our efforts with Union Pacific. Together, we will create an evidence-based educational rail safety program paired with an awareness campaign geared towards parents, caregivers and children. The program will leverage national and local partnerships to educate and bring awareness to safe pedestrian behavior in and around rails with the ultimate goal of reducing rail-related injuries and deaths. 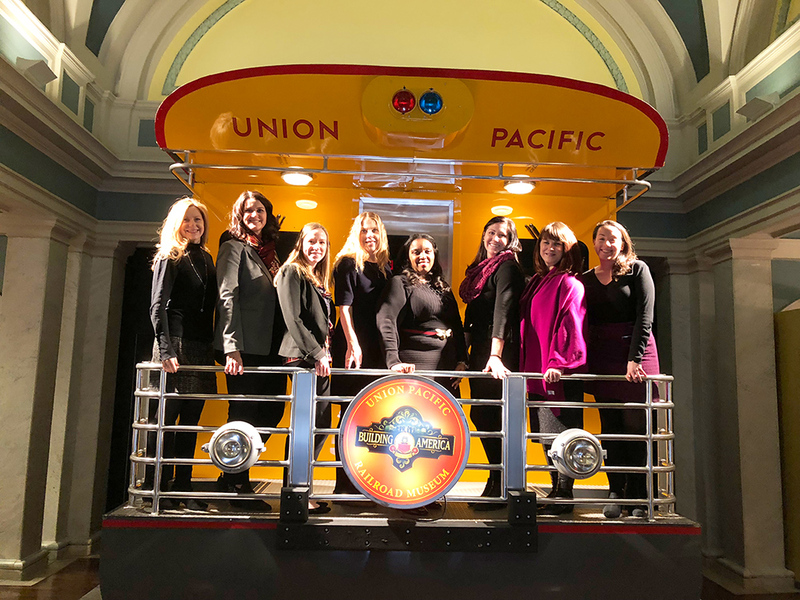 My Safe Kids colleauges and I recently had the opportunity to travel to Omaha to meet with staff members from Union Pacific and learn about their longstanding commitment to safety. It was clear from the very start of the meeting that safety is as important to them as it is to us. We had an opportunity to connect with representatives from their safety team and hear directly from them about how to make this program a success. Their passion about their work is infectious, and we can’t wait to tap their expertise. Union Pacific’s dedication to the communities they serve can be seen through their new Community Ties Giving Program and I’m proud that Safe Kids is the national safety partner. You can read more about the Community Ties Giving Program in Union Pacific’s press release. I know I speak for everyone at Safe Kids when I say I am so excited to begin this important journey with such a wonderful, passionate partner. Statistics received from the Federal Railroad Administration Office of Safety Analysis.